Organs have been in existence for more than two millennia, and have been used to accompany religious services, feasting and celebrations, social and civic activities amongst others. The first organs were powered by water or by hand, and were relatively small by today’s standards. Later, bigger organs were constructed, and the mechanisms became more complex. 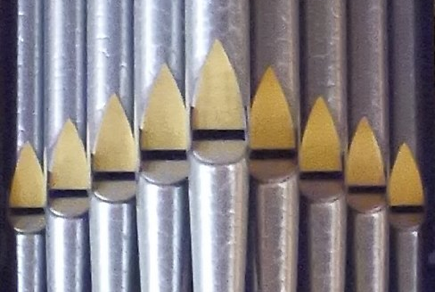 Today organs range from the smallest one stop continuo instruments to gigantic cathedral organs, in a variety of styles and using a variety of mechanisms. We are a team of organ builders and specialist installers and maintainers of electronic control and capture systems for pipe organs. We are a supplier member of the Institute of British Organ Building (IBO) and we complete all of our system contracts to the highest standard possible. For twenty years we have been supplying our services to organ building as an independent company, and have worked with many well-known companies in the UK and mainland Europe. We aim to work with honesty and integrity, and to give the best service possible. We are a supplier member of the Institute of British Organ Building. Please click on the logo below for more details.